David Lehman, Author of Sinatra's Century, Talks about "The Voice"
Born 100 years ago this December, Frank Sinatra, certainly one of the most important figures of 20th century popular music, has been celebrated in concerts, exhibitions, documentaries and books throughout 2015. 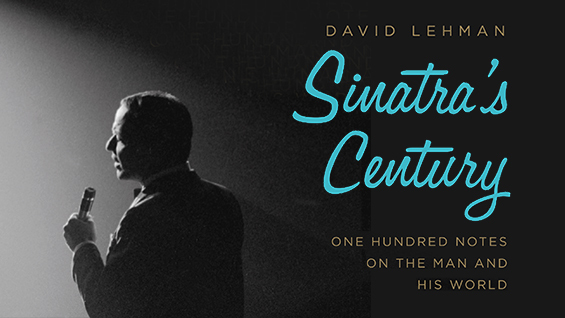 On December 3, David Lehman, author of the new book Sinatra’s Century: One Hundred Notes on the Man and His World, will give a free, public talk in The Great Hall. Not a conventional biography, the book is arranged as 100 short pieces offering Lehman’s meditations on the skinny boy singer with, as Ray Charles once said, a voice like a trumpet. The founder and editor of the Best American Poetry anthology series and Associate Professor in the New School’s Creative Writing Program, Lehman corresponded with Angela Starita, senior writer in the Office of Communications and fellow lifelong Sinatra fan, prior to his talk. At several points in Sinatra's Century, you contrast the perfect elocution of Sinatra's singing voice to the street-wise tone of his speaking voice. The content is quite different too: his unfailing instincts as a singer and his embarrassing, tin-eared comedy. Could you talk about that dichotomy a bit? Do you think that both were a kind of performance? 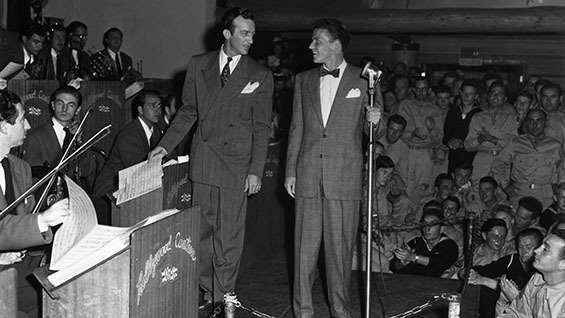 In all your research, have you ever noted a different Sinatra speaking voice that is more in line with the singing? That's an interesting pair of contrasts. It may be, as you suggest, that his "tin-eared comedy" is the reassertion of his gutter mouth. In the same concert he can sing a marvelous medley of "It Never Entered My Mind" and "The Gal That Got Away" and then, for a laugh, do a bad imitation of tough-guy Bogart or sound off about some gossip columnist like a guy who's had one drink too many. A jazz pianist named Gene Di Novi is quoted in my book saying that "Italians tend to break down into two kinds of people: Lucky Luciano or Michelangelo." But (he adds) "Frank's an exception. He's both." That's the essential paradox. To the second part of your question: in interviews -- with Walter Cronkite in the early 1960s, for example -- Sinatra is articulate, intelligent, knowledgeable, and, well, perfectly frank. Or you could argue that Sinatra felt hemmed in by that dichotomy, or more precisely, he felt compelled to play out those roles. So the paradox might be even more complicated: you have to swing between these two poles because you don’t see any alternative. I take your point about the complexity of the paradox and am glad you made it. The next question is based on what might be a myth: Cole Porter is said to have hated Sinatra’s versions of his songs. Do you know if that’s true? If so, how would you account for that? A generational change? I believe it was John Lahr who wrote that Cole Porter didn’t appreciate the word substitutions in a Sinatra performance. The specific example given was the improvised “you give me a boot” in “I Get a Kick Out of You.” You can hardly blame a songwriter for taking umbrage when a singer fiddles with his text. Richard Rodgers hated it when one of his waltzes, like “Lover,” was treated as a swing song by someone as gifted as Peggy Lee or Rosemary Clooney. On the other hand, I have a feeling that Cole Porter liked Sinatra’s delivery of “You’re Sensational” in High Society. The great songwriters could not help being aware that Sinatra was extending the life of their music just by singing and recording it. 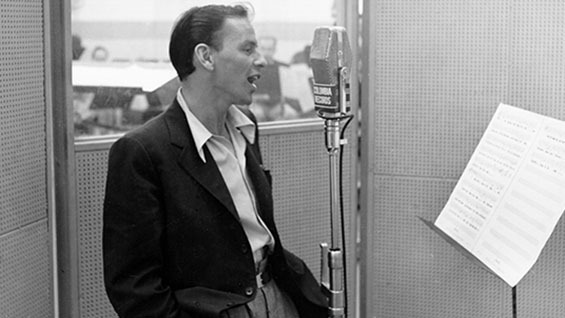 What do you see as Sinatra’s influences on the 21st century and the next 100 years? Because of Sinatra and other musicians of his ilk, the great American songbook -- the songs of Gershwin, Kern, Rodgers, Porter, Berlin, etc. etc. -- will continue to be recognized for what it is: one of the great cultural achievements of twentieth-century America. 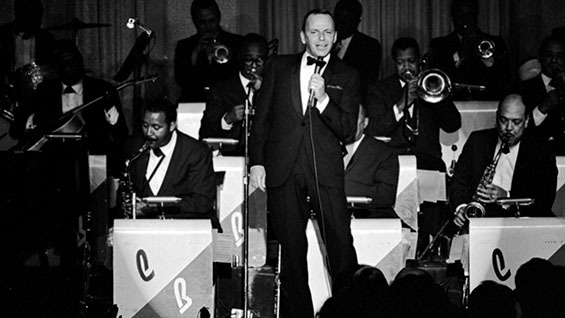 With his recordings, and with the influence he exerted on others, Sinatra kept the music alive and pertinent even as swing and Big Bands and dance music and night clubs and Broadway shows succumbed to the conquering forces of contemporary noise. The songs, especially as Sinatra interpreted them, will continue to be a major source of pleasure for the next century and beyond. And that is just a partial answer to your question.